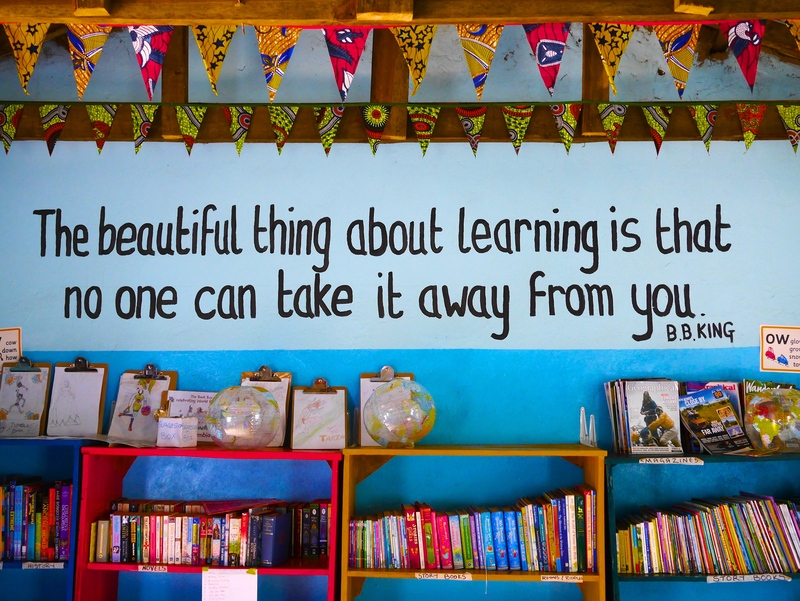 An added benefit of getting to see Victoria Falls this weekend, was the chance to nip across to Livingstone, in Zambia, to visit the new Book Bus reading room opened in the town late last year. Livingstone sits just a few kms from the Zimbabwe border: after emigration, you walk between the two countries across the Victoria Falls (or ‘Zim/Zam’) Bridge, with spectacular views of the Falls to your left (and mad bungie-jumpers on your right). Most visitors come here, unsurprisingly, for the Falls and the surrounding beautiful National Park. But there is another, less glamorous side to Livingstone. It is home to nearly 140k people, many of whom live in a parallel world away from the tourist centre, unable to afford the swish bars, restaurants and hotels frequented by visitors. 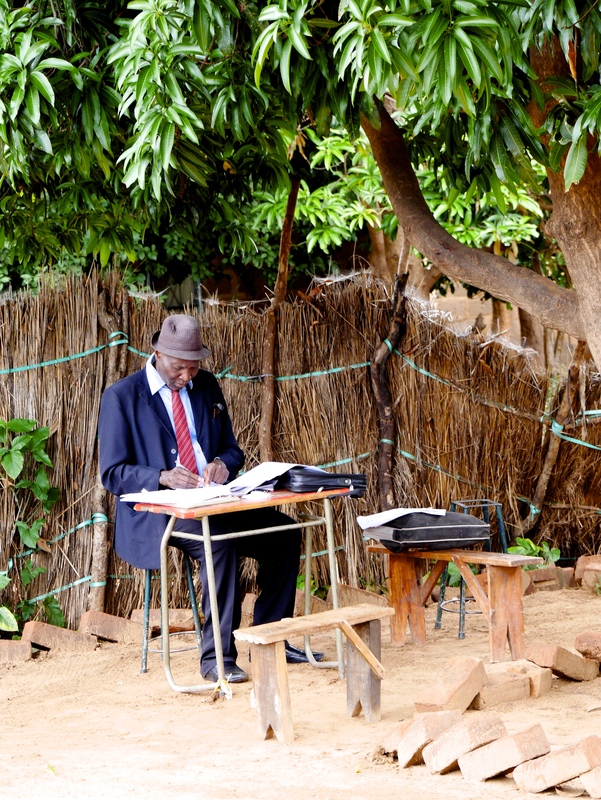 Despite a rapidly rising population, I was told there have been few, if any, new school facilities built in several years, with the result many local children walk long distances to join already over-crowded classrooms. It’s within this context that The Book Bus decided to establish a presence in Livingstone around 6 years ago, under the local leadership of the amazingly dedicated Kelly Geoghegan. Since then, she has been leading teams of visiting volunteers around a number of local schools, bringing books to children who would otherwise have no real opportunity to experience the joy of reading. But Kelly recognised the enormous value there would be in having a freely available library / reading room, permanently in the community. 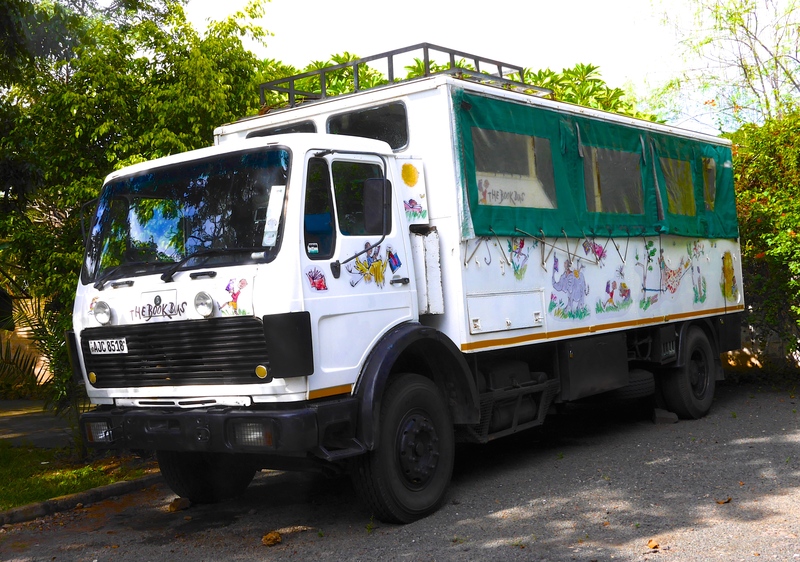 With Book Bus funding, she embarked upon the mammoth task of securing a plot, constructing the building and then turning it into a beautiful space for children to use free of charge. I don’t say ‘mammoth’ task lightly. Back in the UK, this would have already been a demanding enough enterprise. But Kelly explained the raft of additional challenges she faced, as a foreigner, in undertaking the project here. I won’t go into detail, but if anyone ever needs some advice before embarking on a building project in Zimbabwe, I’d recommend a chat with Kelly! Despite many setbacks, the reading room came to fruition. And Kelly herself is the first to emphasise how quickly any thought of the problems and challenges immediately fell away when she saw the faces on the first children to arrive. As they explored around, their excitement was evident: ‘I’ve never seen anything so beautiful’, ‘Can we really come every day?’. A lot of emphasis was placed on making the space feel welcoming and comfortable (a contrast to the environments the children were accustomed to elsewhere). Brightly painted walls, bunting, patterned cushions, pictures and maps. And, of course, well stocked bookcases. The reading room is ably managed, on a day to day basis, by the wonderful Claudia. Born and brought up in the local area, Claudia is passionate about education and about creating opportunities for those in her community. She’s now employed by The Book Bus and you can see straight away that the reading room has become her pride and joy. Having watched and learned from Kelly over several months, she runs a tight ship: every book has its place and the room is kept spotlessly clean and tidy. The reading room is a step in a new direction for The Book Bus. It’s become another building block alongside the traditional, volunteer-led reading group approach, in this case creating a space for the whole community. It is free to access for children and adults alike, plus it can provide employment opportunities (Claudia is using her earnings to finance herself through teacher training). I only had a weekend to spend around Livingstone, and headed back across the bridge after my reading room visit. The sunsets over the Zambezi, and the thundering Falls with their rainbows in the mist, really are a mesmerising sight. But the other images that will stay with me for a long time to come, are the faces of the Livingstone children proudly enjoying their new reading room. Looking forward to hearing and seeing more with you..
Hi Alan, I enjoyed your article, love the pictures of the reading room (The bunting are product of my sewing machine 🙂 great you had the opportunity to meet Claudia and Kelly! Go Book Bus! And Bon Voyage to you!